The indications for the radical laparoscopic prostatectomy are the same as that for the open procedures including treatment of men with localized prostate carcinoma and a life expectancy of 10 years or more. The goal must be eradication of the disease. 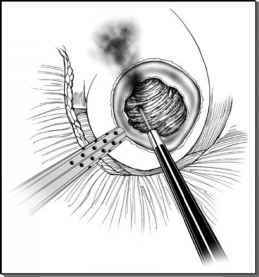 There is no rigid age limit for radical prostatectomy and a patient should not be deprived of this procedure based on age alone. Due to the lengthy course of prostate cancer, the age and comorbid conditions of the patient are the most important determinants of the benefits of treatment. The clinical stage has influence in the outcomes of the radical prostatectomy, together with the Gleason score and the preoperative prostate-specific antigen. The Gleason score is an important prognostic factor, but it cannot be used to determine prognosis or to justify management. Also prostate-specific antigen cannot definitively distinguish the stage of the cancer in an individual patient and should not be used alone as a contraindication to definitive treatment. The final decision must be taken with the consent of the patient after the explanation of likelihood of success and complications of each procedure.